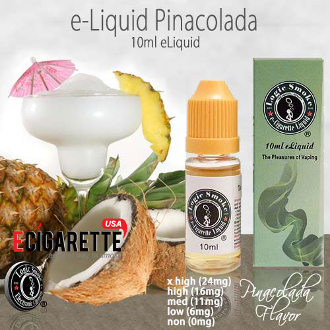 Our Pina Colada E-liquid from Logic Smoke is a wonderful reminder of a tropical paradise. With a perfect mix of pineapple and coconut, it will tranform anyplace into the tropics with just one puff. Pick up a bottle of Logic Smoke Pina Colada E-liquid today and take yourself away to your happy place.